The Ultrasonic cat deterrent & repeller is designed to deter cats from fouling on your garden and lawn. 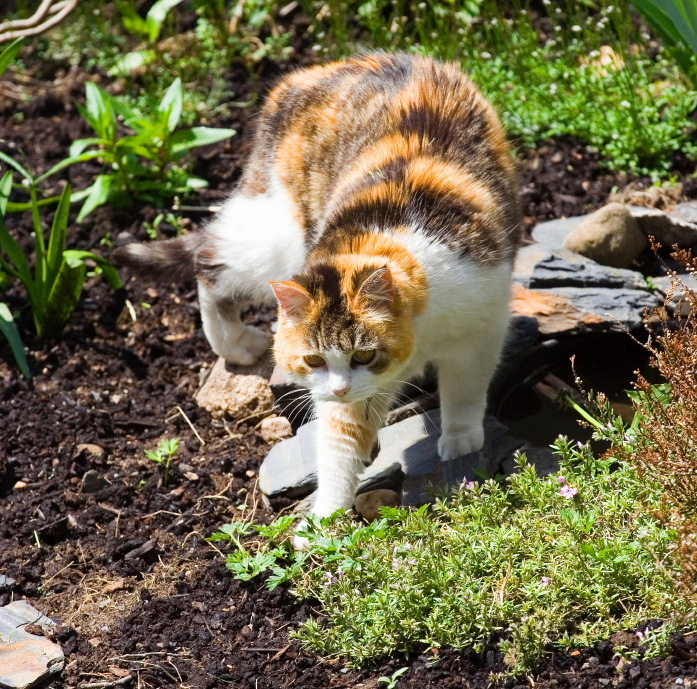 When the cat deterrent detects movement, it emits an ultrasonic sound that cats don't like and so they move away. The ultrasonic sound does not harm cats at all, it just produces a noise they want to get away from. Also, it does not affect birds. This ultrasonic cat deterrent has a 50% wider coverage area than other models. It has the option of using a mains power adaptor (£12.99) but the built-in PIR sensor extends the battery life, only actuating the unit when it detects movement. The cat deterrent has a test facility to ensure it is working correctly. 10 Mtr range over 98 degree arc, giving a total of 120sq mtr coverage. 240v MAINS ADAPTOR for STV 610, 649.